God is the Creator of all and cares deeply for all that he has made. His vision for creation is seen through a world teeming with life where eternity is breathed into and through all creation. Jesus teaches that humans must live with a spirit of generosity and restraint; however, a spirit of meanness and greed dominates human culture and leaves nearly 1.3 billion people living on less than $1 a day. The politics of globalization based on principles of greed have resulted in the loss of biodiversity, deforestation, and a shortage of food and clean water. Jesus teaches that those who are generous are blessed, and such generosity brings justice to all creation. There cannot be God's social justice without ecological sanity, and yet we tend to speak of social justice as though non-human creation doesn't matter. God cares even for the flowers of the field, yet we show contempt for God in our careless plunder of his creation. To love God is to love all that he has made, from our own families to the soil outside our homes. Dr. Mark Bredin works with people with learning disabilities and is a writer and tutor for several theological colleges as well as an associate lecturer at Cambridge University. His previous books include Jesus, Revolutionary of Peace: A Non-Violent Christology in the Book of Revelation and one on theology and learning disabilities called True Beauty. 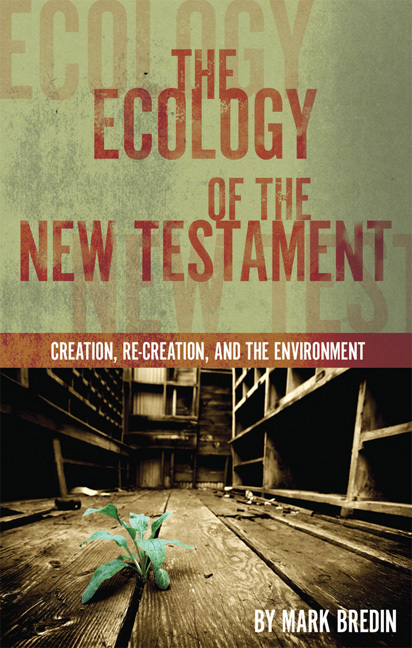 He has published several recent articles on ecology and the book of Revelation. He has taught at St Andrew's University, Scotland and at St. Philips Theological College, Tanzania. He regularly leads summer schools on New Testament Greek. He is involved with garden share and cares for an allotment with his wife, Fran.